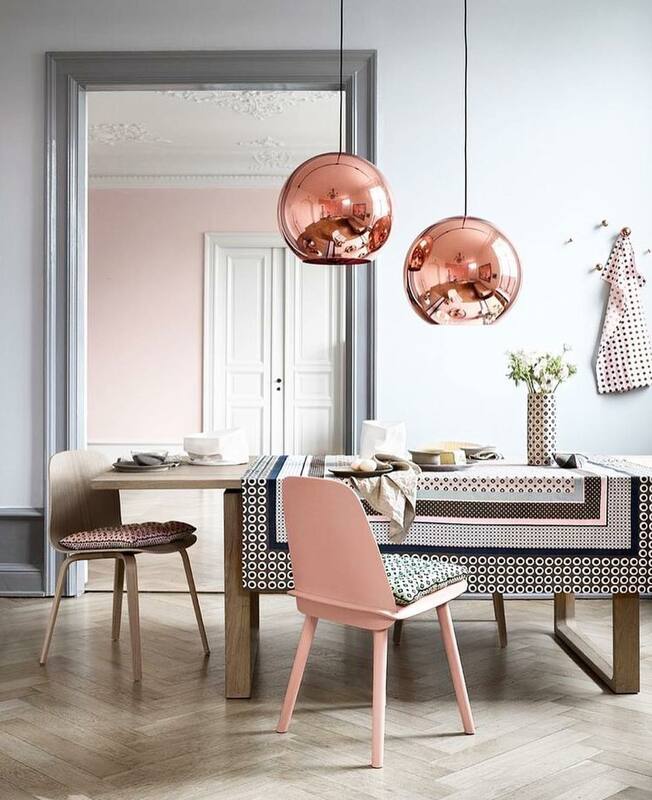 If you have a separate dining room in your home, the colors you choose for the walls can go a long way in projecting the style and ambiance you desire. Whether your style is formal and traditional or a more casual style, such a country or shabby chic, the right colors can help you set a backdrop that captures any mood. 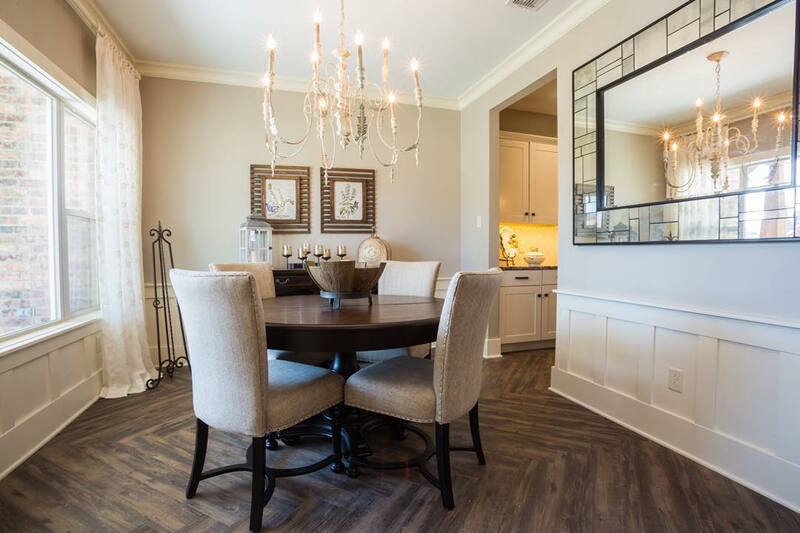 To make a good choice on a dining room wall color, you first need to look at other features of the room, such as the flooring, furniture and window treatments. Of course, if your planning on changing any of these features, you will want to select those before choosing a wall color, because there are many more paint colors available than colors of flooring, furniture, etc. Also consider the color of your dishes and china to create a harmonious palette. Think about the size of your room and how you’d like to manipulate the space: Cool and neutral colors will make the room seem more expansive, while deep rich colors will create a more intimate and cozy ambiance. 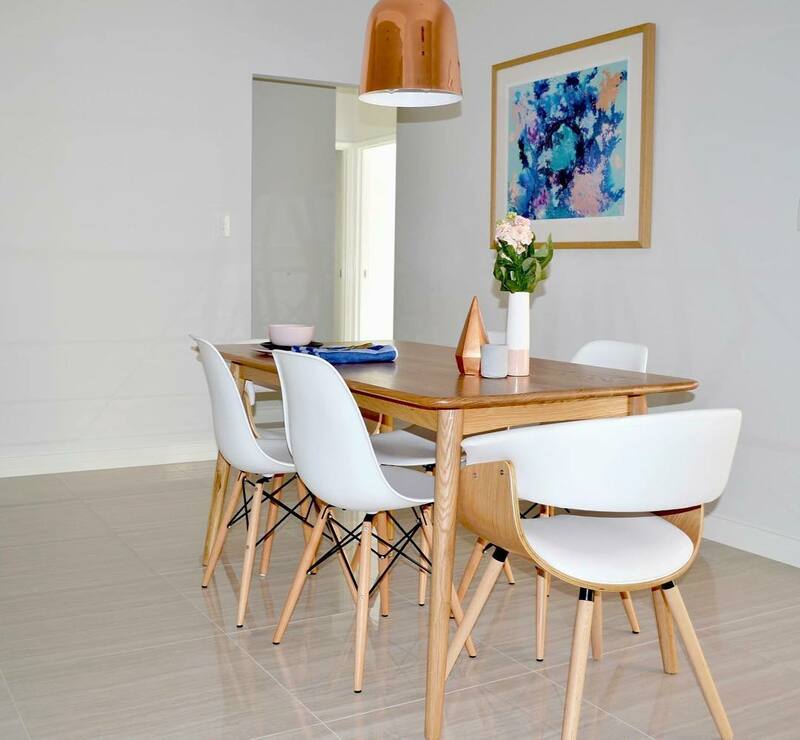 Now think about how you use the dining room: Is it an everyday space for family dining, or is it used more for entertaining and special occasions. Do you ever entertain business clients, or mostly family and friends? If you have a need to use your dining room for business dinners, a more traditional palette may be a good way to go. Otherwise, you can choose colors that express your personality and style: Maybe you like fun casual dinner parties and lingering over wine and pasta with friends; or you might be more into planned courses and elegant occasions. 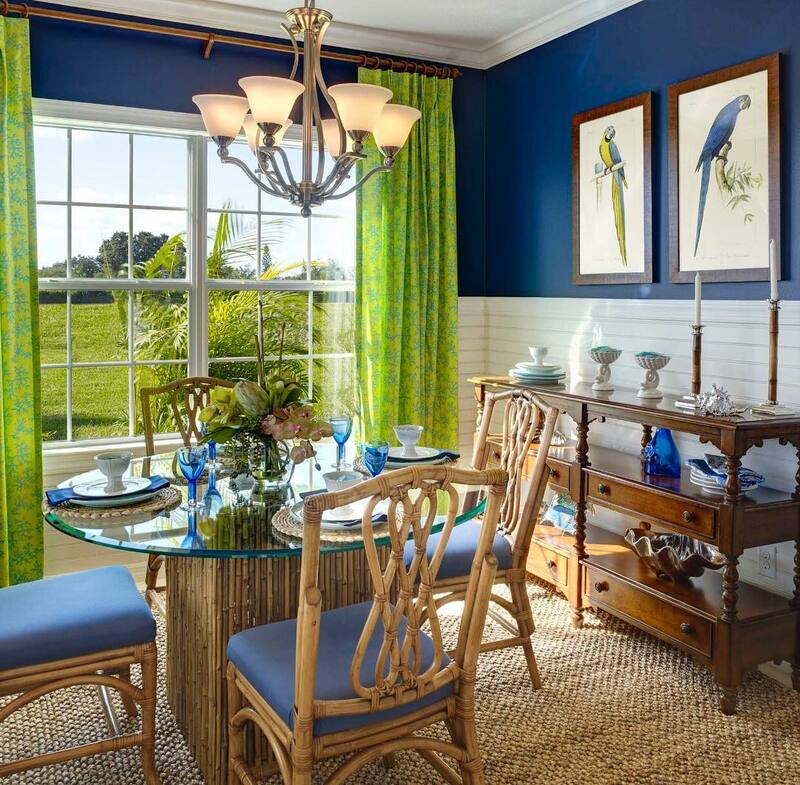 Look to other accents in the room, such as fabrics on chairs and curtains, wall sconces, serving dishes and candlesticks for suggestions on wall colors or accent colors to add a decorative punch. If a traditional look is your goal, warm neutrals like beige, cream and taupe provide a serene ambiance that can be accented with rich shades like burgundy, sage green, chocolate brown and cinnamon. Traditional furniture woods, like cherry and mahogany, look beautiful against a neutral backdrop. In a traditional room, an off-white ceiling is the usual choice. For sleek furniture in shades of black, brown, white or gray with minimalist, a simple backdrop like off-white, gray or mushroom creates a neutral backdrop that allows you to add bold pops of color in a lighting fixture, wall art and other accessories. Bold modern shades like turquoise, mandarin or green tea in accessories and dishware keep the look fresh and vivid and add warmth to hard surfaces that you may choose in furniture, such as chrome, glass and glossy polished stone or wood. Layer in plenty of texture with your choices in chair fabrics, window treatments and accessories to keep a monochromatic space interesting and energetic. 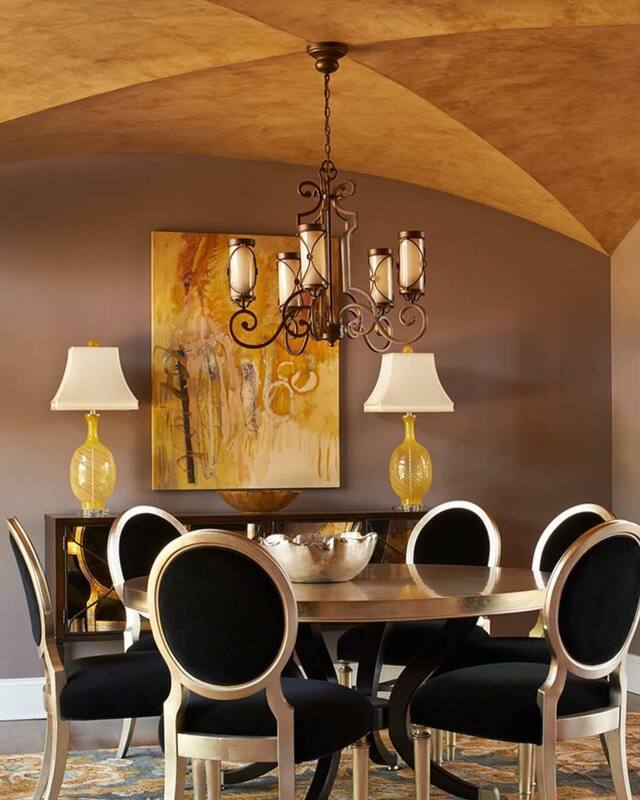 The ceiling can be done in a light neutral shade or painted the same color as the walls for a modern twist. If you love a mix of colors and styles, eclectic choices will give your dining room a fresh, vibrant appeal with personality. Choose colors that blend with interesting curtain panels of that set the stage for a mix of woods or wood and painted furniture. A good way to make this style of room really come together is to place an area rug under the table and a focal point on the wall – such as a large unique wall decor or metal fish wall art – to pull all the threads of color together.